"EXPERIENCE THE UNCONDITIONAL LOVE OF JESUS"
A vibrant, culturally relevant ministry of unconditional love, unending acceptance and unlimited forgiveness to all by the power of the New Covenant in Christ Jesus. To reach, help, heal, teach and train each one God sends, in order that those that are healed and made whole and made acceptable in the beloved can effectively bring about healing in others through Christ, throughout our community, our city, our Island and ultimately the world. Amazing Love Church is a made up of passionate people who Freely receive, then freely share the amazing love of Jesus. We invite you to come and experience this life-changing culturally relevant ministry of unconditional love, unending acceptance, and unlimited forgiveness to all. We are a growing, vibrant, multi-cultural group of loving people that feel like family. We begin our time together with enthusiastic vibrant music with our live band that will bring you right into the presence of a loving God. Our lead vocalist, “Leilani” is a gifted singer with a distinct voice that is sure capture you and take you to a heavenly place! We love to pray with those who have needs and often see notable miracles, healings and other needs met by our loving, faithful God. Amazing Love church never judges anybody. We all come as we are, but thank God we do not stay as we are! After you go through the main entrance at Kapolei High School, go left at the cones and building G will be the first building on your right. AS YOU ENTER THE SCHOOL PROPERTY, JUST FOLLOW THE SIGNS TO AMAZING LOVE! Nick van Rensburg was born in Memphis, Tennessee, the grandson of Rev. Stephen Vandermerwe - one of the founding fathers of the Assembly of God denomination. Nick was raised in Johannesburg, South Africa. He attended Southwestern Assembly of God College in Waxahachie, Texas and the Theological College of South Africa. Nick graduated from Life Christian University in Tampa Florida with a PhD in Christian Psychology. In addition, Life Christian University presented Nick with an Honorary Doctorate of Divinity. Esther Van Rensburg was born and raised in Johannesburg, South Africa. She graduated the University of Pretoria (Tukkies), as a Dental Hygienist and then attended Christ for the Nations in Dallas, Texas. She later graduated with a PhD in Christian Psychology from Life Christian University in Tampa, Florida. The Van Rensburgs met at Hatfield Baptist in Pretoria and were married in Johannesburg, South Africa in 1982. Together the Van Rensburgs Supervised Teen Challenge Maui, were Associate Pastors at Zoe Christian Fellowship in South Africa, Pastored Reggio Assembly of God in New Orleans and then returned to the islands as Directors of Teen Challenge Oahu. The Van Rensburgs ministered in many churches across the islands and were regular speakers at the 'Catch His Fire, Carry His Flame Conferences.' Esther was also a regular speaker at the 'Womens International Conferences' both hosted by Word of Life Christian Center, Honolulu. While keeping Hawaii as their Ministry home-base, the Van Rensburgs planted churches in the Durban, South Africa area and worked together with Rodney and Adonica Howard-Brown as pastors in pioneering The River at Tampa Bay. 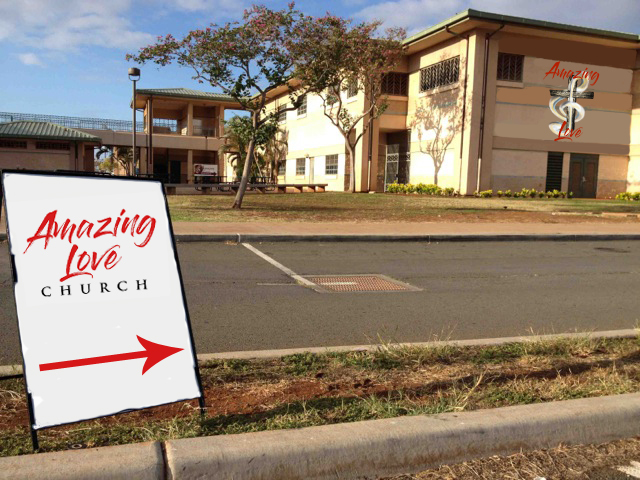 "We are so very blessed that the Lord has planted us here in Hawaii to minister with those the Lord brings our way here at Amazing Love Church. God’s love is truly Amazing, and we look forward to sharing His Amazing Love with you!"